My parents’ divorce was final. The house had been sold and the day had come to move. Thirty years of the family’s life was now crammed into the garage. The two-by-fours that ran the length of the walls were the only uniformity among the clutter of boxes, furniture, and memories. All was frozen in limbo between the life just passed and the one to come. From "Limbo", by Rhonda Lucas, in Patterns: A Short Prose Reader, by Mary Lou Conlin, published by Houghton Mifflin, 1983. Someone told me that it means there is a pile of wood planks or boards piled in that house, but I think the phrase is used to describe the materials of which the wall is made. Please note that it isn't too hard to find this in a dictionary. In fact, it's also on Wikipedia. Consider checking available resources before asking a new question. It does refer to the boards of lumber used to frame the wall, as is commonly done in North America. (It would be surprising if they were in a pile. We don't associate piles with uniformity and order.) 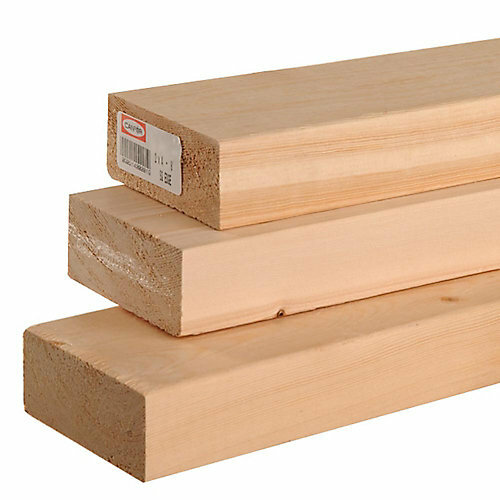 Each plank is two inches thick, four inches wide, and a variable number of feet long. You can also generalize this term: 2x6, 4x4, etc. The first number is always the thickness of the plank and the second one is the width, both measured in inches. At the store your question might be: "Can I get a couple of six-foot two-by-fours in spruce?" There was a lot of discussion in comments under the question about whether "run the length of" could be used with 2x4 wall studs that are typically vertical. That discussion really belongs under an answer, so I'm writing this one and making it a wiki so that discussion can happen. Often that feature is horizontally oriented, because vertical orientation is usually referred to as "height" not "length". However, "ran the length of" can be used with anything uniform that goes along the length of something else. 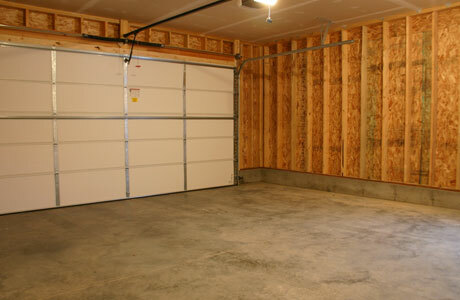 Even though studs are typically vertically oriented, if they were uniformly spaced, we could use "ran the length of" but we would probably say they "ran the length of the garage" instead of "ran the length of the walls". A clue that the "two-by-fours" might not be a neat pile against the wall is the description of "uniformity" contrasted with "clutter". The family has "crammed" a bunch of stuff into the garage and it doesn't make sense that they would neatly pile up some random lumber when all the rest of their belongings have just been dumped in a jumble. It makes more sense in this context that the author is describing the repeating structure of the exposed 2x4s in the wall. Another clue is the use of the definite plural "the walls" rather than the singular "a/the wall" or indefinite plural "some walls" or something more specific such as "the side walls". If the sentence did indeed refer to a horizontal pile or stack of boards, this would imply that there were four such piles, one parallel to (running the length of) each wall. It's hard to imagine a reason for such an arrangement in a family's garage. The writer is not so much describing a scene as using the scenery to make a point. In other words, the 2x4s are a contrast with the chaotic situation, not part of a discourse about the garage's construction. We must infer the nature of the garage wall from a minimum of information. These boards "ran the length of the walls," that is, horizontal and continuous. We could also expect that the boards (plural) are attached to the walls (plural), if not a part of them. In the framing of a wall, the long boards (studs) are vertical because they are load bearing. A horizontal board is there to form a window frame or header, so it is not continuous. 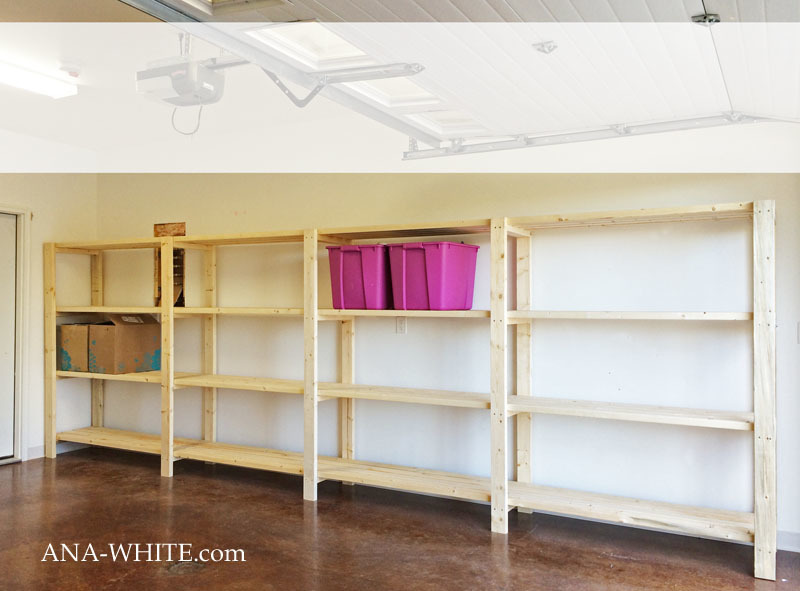 It's more likely, then, that the 2x4s in question are there to support shelves or tools. Whether the wall framing is open or covered is irrelevant (although the vertical studs would tend to clutter the image). Because the items stored here have been packed, the walls will look bare, adding to the bleakness of the scene. Due to the lack of information, other interpretations are possible. As noted, the boards could be piled against the walls, although it would seem unusual to have multiple piles in a limited space (then again, it could be a big garage). The studs may run horizontally for some reason, or the writer glossed over the fact that a row of headers looks continuous. Other possibilities are that the writer drew from her own memories and assumed the reader would have similar memories, or that she chose to make her point quickly without distracting the reader. There is not enough information to reach a firm conclusion. What does “bail” mean in this context? What does “two eye fulls” mean in this context? What does “ chaffer ” mean in this context? what does “evolve” mean in this context? What does “paper” mean in this context? What does “premise” mean in this context?